Drying Not normally necessary if stored properly. 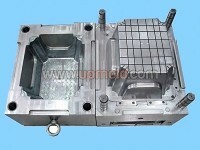 Mold Temperature 20 – 95 C (68 – 194 F) (higher temperatures for wall thickness of up to 6 mm; lower temperature for wall thicknesses greater than 6 mm.) The cooling rate should be uniform to minimize shrinkage variations. 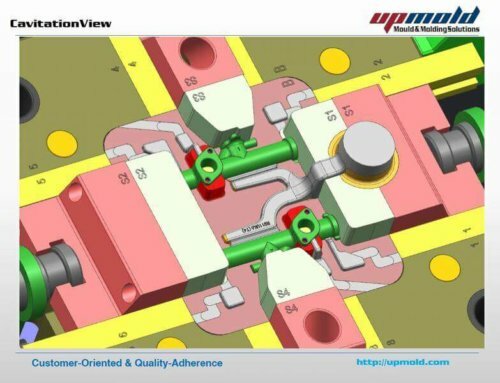 For optimum cycle times, the cooling channel diameters should be at least 8 mm and must be within a distance of 1.3 d from the mold surface (where “d” is the diameter of the cooling channel). 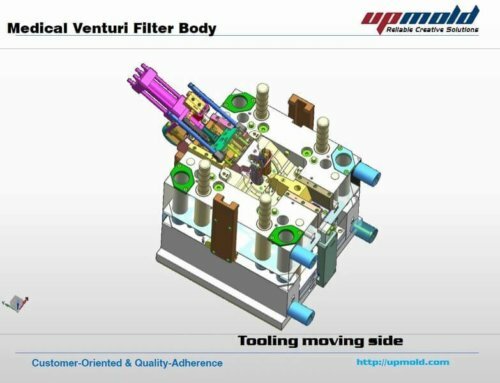 Injection Speed High injection velocity is recommended; profile injection velocity can be used to reduce warpage in the case of components with a large surface area. Diameters of runners range from 4 – 7.5 mm (typically 6 mm). Runner lengths should be as short as possible. All types of gates may be used. Gate lands should not exceed 0.75 mm in length. 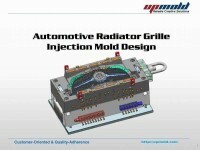 Ideally suited for hot runner molds; an insulated hot tip runner is preferred when there are frequent color changes. When the density is 0.91 – 0.925 g/cm^3, the material is known as Type 1; Type 2 materials have densities in the range of 0.926 – 0.94 g/cm^3, and Type 3 materials have densities in the range of 0.94 – 0.965 g/cm^3. The material flows easily and the MFR ranges from 0.1 – 28. Higher molecular weights (lower MFR grades) have better impact resistance. 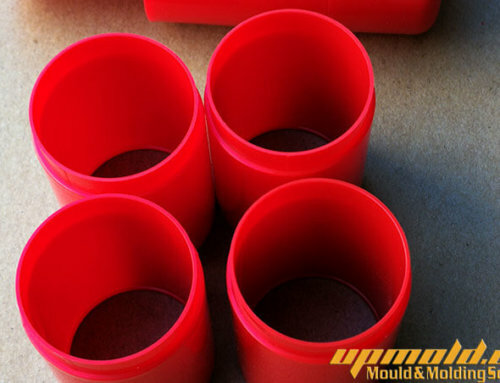 Being a semicrystalline material, the molding shrinkage is high (order of 0.015 – 0.04 mm/mm or 1.5 – 4%). This is dependent on the degree of orientation and level of crystallinity in the part (which in turn are dependent on processing conditions and part design). 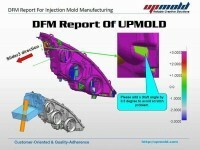 Injection Speed Fast speeds are recommended; profiled speeds can limit warpage problems of large surface area parts. Commercial materials have densities in the range of 0.91 – 0.94 g/cm^3. LDPE is permeable to gases and vapors. Very close tolerances are not possible with this material and its relatively large coefficient of thermal expansion makes it less suitable for long term applications. Shrinkage is of the order of 0.02 – 0.05 mm/mm (2 – 5%) when density is between 0.91 – 0.925 g/cm^3. When density is between 0.926 -.04 g/cm^3, the shrinkage is of the order of 1.5 – 4%. 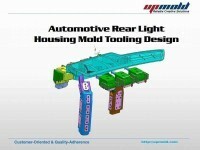 Actual shrinkage values are dependent on the molding conditions. Drying The moisture content must be below 0.1% prior to processing. If the material is exposed to air, drying in a hot air oven at 85 C (185 F) for 4 -5 hours is recommended (3-4 hours in a desiccant dryer). 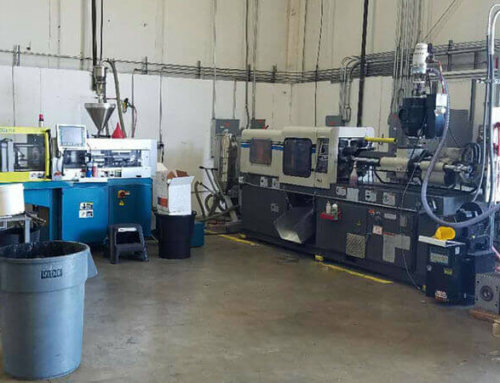 If the container is unopened, it may be used directly for molding after 3 hours of equilibration to shop floor temperature. 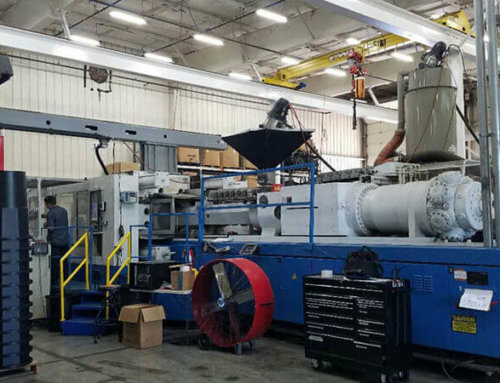 Mold Temperature 30 – 40C (86 – 104 F) for unreinforced grades; for thin walled or large surface area components, 80 -90 C (176 – 194 F) may be used; 90 – 100 C (194 – 212 F) for reinforced grades. Increasing the mold temperature increases the crystallinity level. It is very important to precisely control the mold temperature. Material Injection Pressure Up to 100 MPa Low hold pressures and high melt temperatures are recommended. Runner diameters for unfilled grades may be as small as 3 – 5 mm because of the material’s low viscosity. Reinforced grades require larger diameters (5 – 8 mm). The runner shape should be the full round type. Sprues should be as short as possible. Viscosity is determined by water content, temperature, and residence time. This material flows easily. Shrinkage is of the order of 0.005 – 0.02 mm/mm (0.5 – 2%). 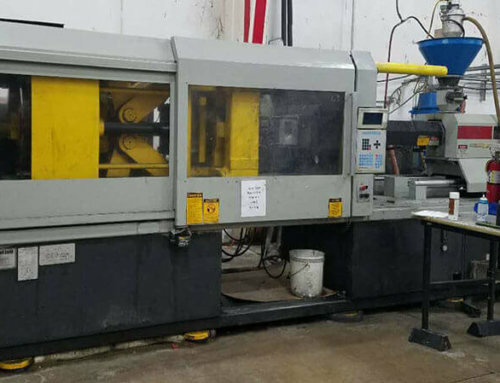 This is dependent on the specific grade, wall thickness, and processing conditions. 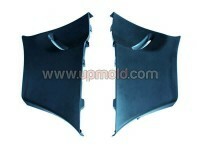 Drying Since PA6 absorbs moisture readily, care should be taken to ensure its dryness prior to molding. If the material is supplied in watertight packaging, the containers should be kept closed. If the moisture content is >0.2%, drying in a hot air oven at 80 C (176 F) for 16 hours is recommended. If the material has been exposed to air for more than 8 hours, vacuum drying at 105 C (221 F) for more than 8 hours is recommended. Mold Temperature 80 – 90 C (176 – 194 F). 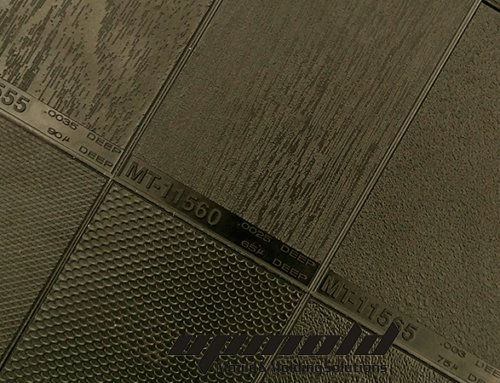 Mold temperature significantly influences the crystallinity level which in turn affects the mechanical properties. 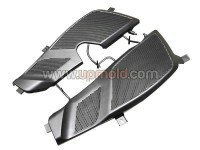 For structural parts, a high degree of crystallization is required and mold temperatures of 80 – 90 C (176 – 194 F) are recommended. 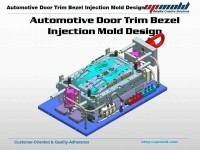 High mold temperatures are also recommended for thin-wall parts with long flow lengths. 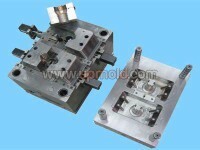 Increasing the mold temperature increases the strength and hardness, but the toughness is decreased. When the wall thickness is greater than 3 mm, a cold mold is recommended (20 – 40 C / 68 – 104 F), which leads to a higher and more uniform degree of crystallinity. Glass reinforced materials are always processed at mold temperatures greater than 80 C (176 F). The molecular structure of polyamides consist of amide (CONH) groups joined by linear aliphatic sections (based on methylene groups). The toughness, rigidity, crystallinity, and thermal resistance of polyamide materials are due to the strong interchain attraction caused by the polarity of the amide groups. The CONH groups also cause a lot of moisture absorption. Nylon 6 is produced by polymerization of caprolactam. The chemical and physical properties are similar to that of PA66. 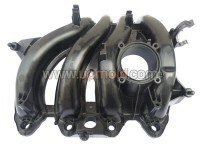 However, its melting point is lower than PA66 and it has a wider processing temperature range. Its impact strength and solvent resistance are better than PA66, but its moisture absorption is higher. 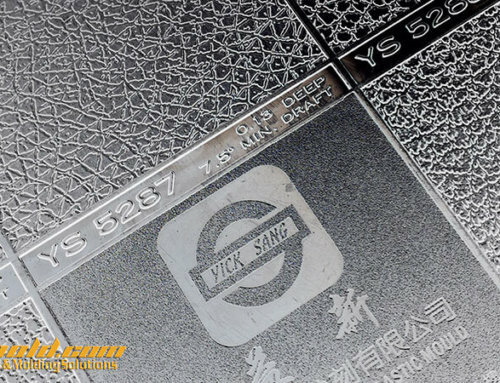 Many properties are affected by moisture absorption, which must be taken into account when designing with this grades. Various modifiers are added to improve mechanical properties; glass is one of the most commonly used fillers. Addition of elastomers such as EPDM or SBR improves impact resistance. For unfilled grades, shrinkage is of the order of .01 – .015 mm/mm (1 – 1.5%). Addition of glass fibers reduce the shrinkage to as low as 0.3% in the flow direction (but could be as high as 1% in the cross-flow direction). 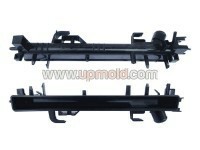 The post-molding shrinkage is affected mainly by the crystallinity level and moisture absorption. The actual shrinkage is a function of part design, wall thickness, and processing conditions. Drying Drying is not required if the material is sealed prior to molding; however, if the containers are left open, drying in a hot air oven at 85 C (185 F) is recommended. If the moisture content is > 0.2%, vacuum drying at 105 C (220 F) for 12 hours is recommended. 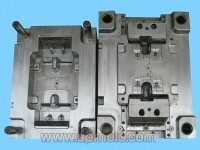 Mold Temperature 80 C (176 F) suggested. 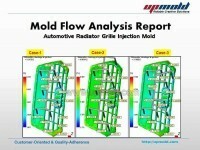 Mold temperature affects crystallinity level which in turn affects physical properties. 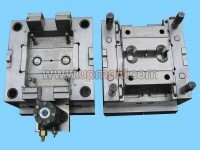 In the case of thin walled parts, crystallinity changes with time if mold temperatures of less than 40 C (104 F) are used. In such cases, annealing may be needed to retain dimensional stability. The viscosity is low and therefore, it flows easily (but not as easily as PA6). 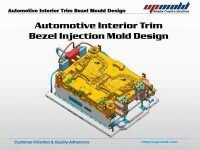 This allows molding of thin components. The viscosity is very sensitive to temperature. Shrinkage is of the order of 0.01 – 0.02 mm/mm (1 – 2%). Addition of reinforcing glass fibers reduces the shrinkage to 0.2 – 1%. Differential shrinkage in the flow and cross-flow directions is quite high. Mineral fillers yield more isotropic moldings. PA66 is resistant to most solvents but not to strong acids or oxidizing agents. Drying This material is sensitive to hydrolysis at high temperatures. 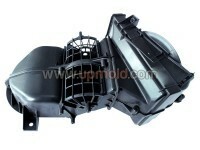 It is therefore important to dry the material prior to molding. Suggested drying conditions (in air) are 120 C (248 F) for 6 – 8 hours (or 150 C (300 F) for 2 – 4 hours). Moisture levels must be below 0.03%. When using a desiccant dryer, drying at 120 C (248 F) for 2.5 hours is recommended. 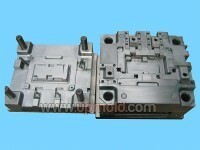 Mold Temperature 40 – 60 C (104 – 140 F) for unreinforced grades. For other grades, a wide range of temperatures can be used, depending on the grade (15 – 80 C / 59 – 176 F). Cooling channels should be properly designed to minimize part warpage. The heat removal must be fast and uniform. Cooling channels of 12 mm diameter are recommended. 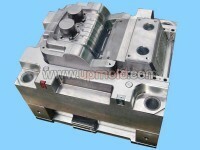 Material Injection Pressure Moderate (up to maximum of 150 MPa). Full round runners are recommended to impart maximum pressure transmission (rule of thumb: runner diameter = part thickness + 1.5 mm). A wide variety of gates may be used. Hot runners may also be used, taking care to avoid drool and material degradation. Gate diameters or depths should preferably be between 0.8 – 1.0 times the part thickness. 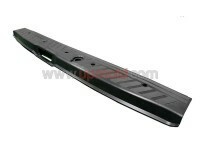 When using submarine gates, the minimum recommended diameter is 0.75 mm. Tensile strength ranges from 50 MPa (7,250 psi) for unfilled grades to 170 MPa (24,650 psi) for glass reinforced grades. High levels of glass fillers make the material more brittle. Crystallization is rapid and this could cause warpage due to non-uniform cooling. In the case of glass filled grades, shrinkage is reduced in the flow direction, but in the cross-flow direction it may be equal to that of the generic grade. 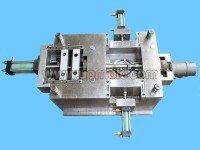 Shrinkage is of the order of 0.015 – 0.028 mm/mm (1.5 -2.8%). A 30% glass-filled material has a shrinkage range of 0.3 – 1.6%. The melting point (approximately 225 C / 437 F) and heat distortion temperatures are lower than that of PET. The Vicat softening point is approximately 170 C (338 F). The glass transition temperature ranges from 22 – 43 C (71 – 109 F). Drying PC grades are hygroscopic and pre-drying is important. Recommended drying conditions are 100 – 120 C (212 – 248 F) for 3 to 4 hours. Moisture content must be less than 0.02% prior to processing. The melt viscosities are typically Newtonian up to shear rates of 1000 1/s and decrease beyond that. The Heat Deflection Temperature Under Load is typically between 130 -140 C (266 – 284 F) and the Vicat Softening Point is typically around 155 C (311 F). Drying Drying is required prior to processing. Moisture content should be less than 0.04 % to ensure stable processing parameters. Drying at 90 – 110 C (194 – 230 F) for 2 to 4 hours is recommended. Drying 110 – 135 C (230 – 275) F for approximately 4 hours . PC+PBT blends offers a combination of properties of PC and PBT – high toughness and dimensional stability of PC and good chemical and heat resistance and lubricity of crystalline PBT. PEIs are amorphous materials whose chemical structure consists of repeating aromatic imide and ether units. This accounts for its high temperature resistance. 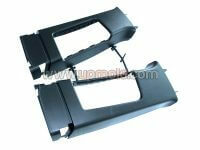 It also leads to high stiffness, and modifiers are used to make the material processible. PEIs are very stiff and strong even without reinforcements. They have excellent thermal stability making it possible to use them in high temperature applications. They have good flame and chemical resistance and good electrical insulation properties. The glass transition temperature is high (215 C / 419 F). 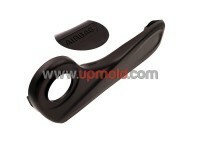 It exhibits low shrinkage and highly isotropic mechanical properties. Drying Drying is essential prior to molding. PETs are very sensitive to hydrolysis. Recommended drying conditions are 120 – 165 C (248 – 329 F) for 4 hours. The moisture content should be less than 0.02%. All conventional types of gates may be used; gates should be 50 – 100% of the part thickness. PET is an aromatic polyester produced from polymerization of either terephthalic acid (TPA) or dimethyl ester terephthalic acid (DMT) and ethylene glycol (EG). The glass transition is approximately 165 C (330 F) and the material crystallizes over a temperature range from 120 – 220 C (248 -428 F). 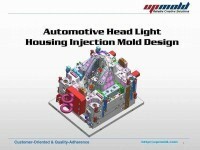 Drying Drying is essential for PETG prior to injection molding. The moisture level must be below 0.04%. Drying temperature is not to exceed 66 C (150 F). Drying at approximately 65 C (149 F) for 4 hours is recommended. Drying PMMA is hygroscopic and must be dried prior to molding. Drying at 90 C (194 F) for 2-4 hours is recommended. Drying Not usually required but the material should be stored in a dry atmosphere. Any type of gate may be used. When using tunnel gates, the short type is preferred. Insulated, hot tip runners are preferred for homopolymers; both internally and externally heated hot runners may be used in the case of copolymers. Acetals are tough, resilient materials and exhibit good creep resistance, dimensional stability, and impact resistance even at low temperatures. Acetal grades are either homopolymers or copolymers. Homopolymers have better tensile strength, fatigue resistance and hardness but are difficult to process. Copolymers have better thermal stability, chemical resistance and processibility. Both homopolymers and copolymers are crystalline and have low moisture absorption. Copolymers may be used continuously at air temperatures up to 100 C (212 F); homopolymers have slightly higher temperature resistance. 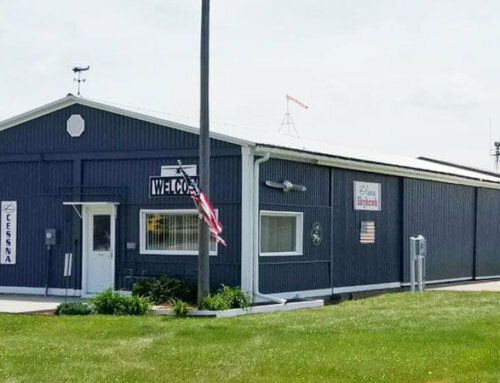 Many grades of acetal materials are available, tailored to different applications. High crystallinity levels of acetals lead to relatively high shrinkage levels of 0.02 – 0.035 mm/mm. Differential shrinkage is observed with reinforced grades. 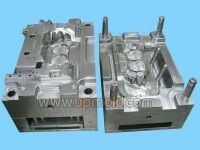 Mold Temperature 20 – 80 C (68 – 176 F); suggested: 50 C (122 F) The crystallinity level is determined by the mold temperature. In the case of cold runners, typical diameters range from 4 – 7 mm. Full round sprues and runners are recommended. All types of gates can be used. Typical pin gate diameters range from 1 – 1.5 mm, but diameters as low as 0.7 mm may be used. In case of edge gating, the minimum gate depth should be half the wall thickness and the width should be at least double the thickness. Hot runners can readily be used for molding PP. PP is produced by the polymerization of propylene using stereospecific catalysts. Mainly, isotactic PP is produced (the methyl groups lie on one side of the carbon chain). This linear plastic is semicrystalline because of ordered molecular structure. It is stiffer than PE and has a higher melting point. The PP homopolymer becomes very brittle at temperatures higher than 0 C (32 F) and for this reason, many commercially available grades are random copolymers with 1 – 4% ethylene or block copolymers with higher ethylene content. Copolymers have a lower heat distortion temperature (approximately 100 C / 212 F), less clarity, gloss, and rigidity, but greater impact strength. The material becomes tougher as the ratio of ethylene increases. The Vicat softening point is approximately 150 C (302 F). Because of high levels of crystallinity, the surface hardness and scratch resistance is higher for these materials. Due to crystallinity, the shrinkage is relatively high (order of 0.018 – 0.025 mm/mm or 1.8 – 2.5%). The shrinkage is more uniform than PE-HD (the difference in flow and cross-flow shrinkage is typically less than 0.2%). Addition of 30% glass reduces the shrinkage to approximately 0.7%. Drying Recommend drying before molding for approximately 2 – 4 hours at 100 C (212 F). 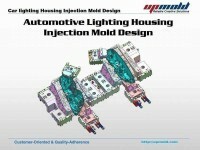 PPOs have low levels of moisture absorption can typically be molded as received. Drying Not usually required unless stored improperly. If drying is needed, the recommended conditions are 2-3 hours at 80 C (176 F). Processing shrinkage is typically between 0.4 – 0.7%. Drying Not usually necessary as PVC absorbs very little water. Sprues should be as short as possible; typical runner sizes are 6 – 10 mm and should have a full round cross-section. 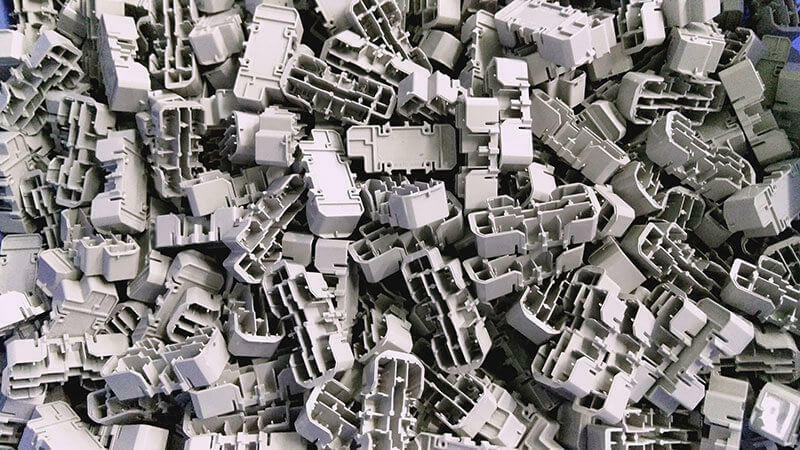 Insulated hot runners and certain types of hot sprue bushings may be used with PVC. Shrinkage is fairly low (0.002 – 0.006 mm/mm or 0.2 – 0.6%). Drying Under improper storage conditions, SAN absorbs moisture; it is recommended that it be dried at 80 C (176 F) for 2-4 hours prior to molding. 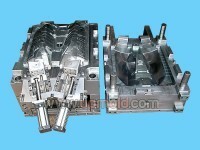 Mold Temperature 40 – 80 C (104 – 176 F); SAN solidifies rapidly at higher temperatures; for reinforced grades, the mold temperatures should not be less than 60 C (140F). Shrinkage ranges from 0.003 – 0.007 mm/mm (0.3 – 0.7%).